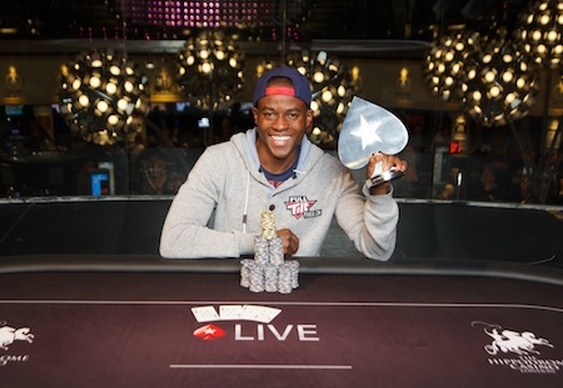 Martins Adeniya has become the first UKIPT Omaha Series champion after triumphing at the Hippodrome Casino in London over the weekend. The Full Tilt Ambassador got the perfect pre-WSOP boost after working his way through a field of 72-runners at the PokerStars-sponsored venue. It looked long odds on an Adeniya victory at the start of Day 2 though as the Londoner returned 29th out of 29 with a miniscule stack. He sure can, and pocketed £4800 for his efforts in what turned out to be his first live cash in an Omaha event. The UKIPT Omaha Series returns to the Hippodrome from 8th to 10th August. In the meantime, it's sun cream at the ready as the UKIPT heads to the Costa del Sol for the PokerStars Marbella Festival from 11th to 15th June. Qualify online for all UKIPT events at PokerStars.